Description: To access Virtual PDI 2014 after purchase as the product administrator, please visit www.pathlms.com/asmc/sign_in. Please allow 24 business hours for your purchase to be activated. The login ID will be your chapter's default email address, and the default password will be: asmc+your chapter ID number. (Example: 'asmc123456') If you have questions, please email webmaster@asmconline.org. 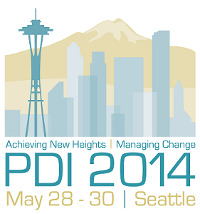 Description: To access Virtual PDI 2014 after purchase, please visit www.pathlms.com/asmc/sign_in. Please allow 24 business hours for your purchase to be activated. Your login ID is your email address, and your password is the default ASMC password, asmc+your member number. (Example: asmc123456). If you have questions, please email webmaster@asmconline.org.